The Bridgewater Housing Authority is committed to serving our community’s housing needs using all resources available. We strive to maintain clean, safe and affordable housing for low-income elderly, non-elderly disabled and family households. The Authority plays an integral role in the community and looks to develop and manage good quality affordable housing in the future. The Bridgewater Housing Authority provides state public housing for seniors (60+) and non-elderly disabled persons at the Heritage Circle and Hemlock Drive developments. The BHA also provides state public housing for families at scattered sites throughout the town. Bridgewater Housing Authority History The Bridgewater Housing Authority (BHA) was founded in 1965. The first senior development on Hemlock Drive was built in 1967. It consists of forty, one-bedroom apartments, with a community room and laundry facility centrally located. In 1972, fifty-six more similar senior apartments were added on Hemlock Drive. As the senior generation grew, so did their need for affordable housing so land was purchased on Main Street for the purpose of expanding the senior housing program. 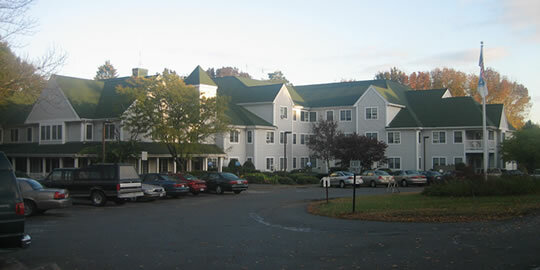 In 1992, the Heritage Circle development was completed and an additional forty one-bedroom units and ten congregate units were ready for occupancy. The building has an elevator and houses a community room, laundry facilities and the Bridgewater Housing Authority main office. In 1992, the Commonwealth of Massachusetts passed legislation that 13.5% of the senior housing units must be available for young (under 60) disabled residents. Seeing the need for family housing, the BHA purchased seven homes consisting of twelve family units between 1981 and 1982. These family units are scattered throughout the town of Bridgewater and range in size from 2 to 4 bedrooms. All the above state public housing units are regulated by the Department of Housing and Community Development (DHCD).